These 5x8 metal sheds are perfect for all outdoor spaces. Their galvanised steel construction means that they are built to stand the test of time and keep your belongings protected from the elements. 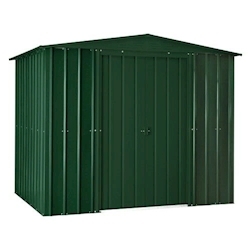 These sheds are perfect for storing gardening tools and equipment, furniture, bikes or anything else, whether you're an avid gardener or want to keep things tidy.